We are so excited to be partnering with Mom It Forward as a panelist on the #gno Twitter party tonight! 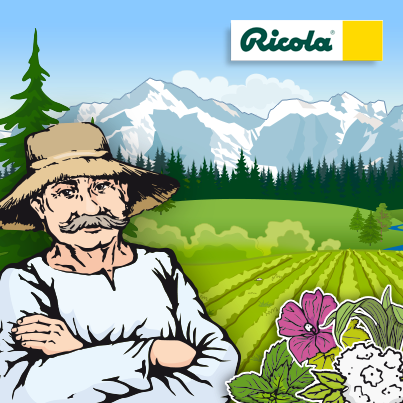 We'll be chatting with Ricola about staying healthy. For more information about the party and sponsor, please be sure to visit the RSVP post. Also, don't forget to enter the giveaway! On 28 June 2010, Ricola AG set up the Ricola Foundation. The first major project to receive support from the foundation is COLOSS, a scientific network conducting research into the severe losses of honeybee colonies worldwide. The foundation is helping COLOSS to enhance and maintain its global network of research institutions, universities and beekeepers. The project's home is the Bee Research Centre at Agroscope Liebefeld-Posieux Research Station ALP. COLOSS was started with EU funds in November 2008 and currently has 265 members from 56 countries. The one-hour #gno party will be held on Tuesday, January 21 from 9:00 - 10:00 p.m. EST. Don't miss it!